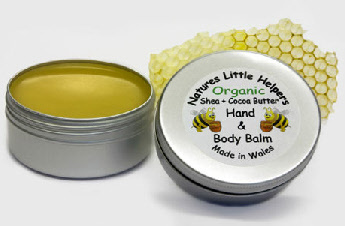 A lovely buttery balm with a different feel to the Natural Oil balms that we produce, there is also a nice smell of chocolate from the Cocoa Butter. This entirely natural product restores dry hands to tip-top condition and can also be used all over just where it is needed. Organic Shea Butter, Organic Cocoa Butter, Sweet Almond Oil, Beeswax, Honey and Vitamin E.